For those who are in transition, living the lifestyle, or even on the verge of undertaking the Vegan lifestyle, this beauty box is for you! Vegan Cuts makes it easy to discover cruelty-free brands without committing to full-sized products or prices. Each month subscribers will receive 4-7 new products ranging from cosmetics to skincare. For their Limited Edition Kit, the box includes an assortment of limited run vegan-friendly luxury products for a one time purchase! 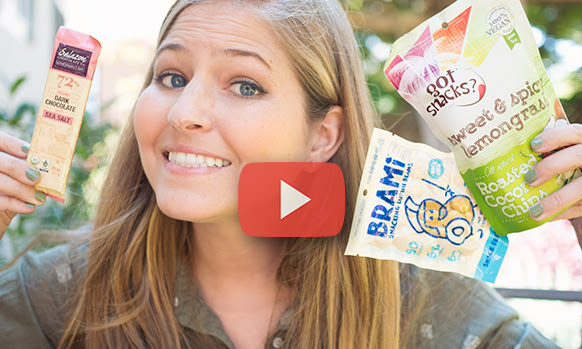 Tune in our sneak peek video about the October Snack Box! This month features coconut chips with a kick by Got Snacks and a lupini bean snack from BRAMI Beans. We’re also including a Fair Trade Salazon Chocolate Co. bar, so don’t skip out on this sneak peek video to see what it looks like! What do you think of this Vegan Cuts Snack Box? ← POPSUGAR: We’re Giving You 3 More Days For the All-Star Mystery Box!